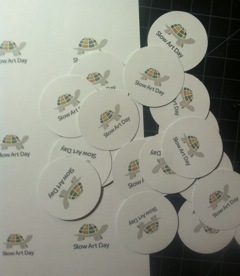 Slow Art Day 2014! I can’t wait. I’ve got lots of people signed up (45), and have been keeping in touch with them on a regular basis. I hope they all show up! It’s going to be an exciting event. I’ve chosen 3 pieces from the 20th century galleries and 2 from an area under viewed for sure, sporting life, which is mainly British paintings ofhorse and dogs from the 1800s. Instead of making buttons this year, I made labels on adhesive backed paper. I look forward to seeing everyone’s photos from the event. Sign up to participate in this event here. The Museum of Paleontology and Palaeontology Maglie (Lecce, Italy) will host “The Origin of Art” Saturday, April 12. I am hosting this event because I firmly believe that we must understand the art from its origins, from the times when the basic need of man to communicate. The understanding of this concept requires slow pace to overcome the aesthetic idea of works of art, to discover the values ​​and the deepest needs of the soul. 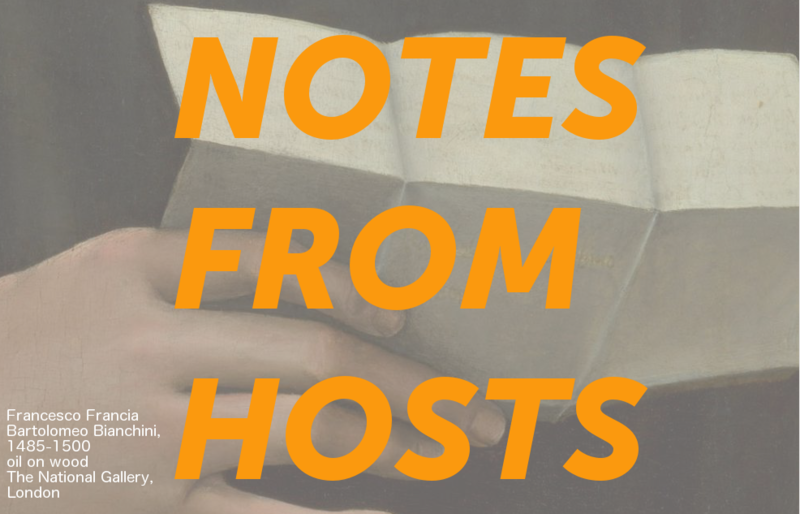 If you are in Salento (Puglia), do not hesitate to connect with us! Good luck to all of you for your respective goals Days of Art on Saturday. The Patricia & Phillip Frost Art Museum located on the main campus of Florida International University, Miami , Florida is proud to host its second Slow Art Day. As a Smithsonian Affiliate, we have exciting and world class exhibitions on view. This Slow Art Day is dedicated to the memory of Helen Venero, a dedicated docent, volunteer, and art lover who helped us launch with great enthusiasm our first Slow Art Day. This Slow Art Day participants will get a chance to “slow down” in our grand galleries with Our America: the Latino presence in American art exhibition. Each participant can pick up a visual analysis worksheet if they wish to use as they are looking. Bring your lunch or purchase one at our nearby food court and then join others on our beautiful terrace overlooking a lake. Parking is free on Saturdays. The Beach Museum of Art is hosting a Slow Art Day event! Click here to find out more information. Sign up here to participate in this event. Hello Slow Art Day people! The Clock Tower Studio/Gallery at Oakland, California’s historic Cotton Mill Studios is honored to be participating again this year in Slow Art Day. Currently on display (through the end of April) is an exhibition of underwater photography by David Horwich called The California Kelp Forests: an under water survey. a percentage of proceeds from this exhibit benefit Reef Check California. For more information about The Clock Tower Studio/Gallery visit our website. Sign up to participate at this venue here! The Gold & Treasure Coast Chapter of Slow Food USA will once again host international Slow Art Day, Sat. April 12, 2014. Again this year, we will host a U-Drive tour of the permanent public art collection. Lists & map of public art will be available on our FaceBook page……..Slow Food Gold & Treasure Coast. no charge for the map or tour. Compton Verney Art Gallery situated in Warwickshire, England will be hosting slow art day for our second year. We were thrilled to take part in 2013, with an important movement allowing engagement at your own pace. This year we will be providing a trail to highlight parts of our six permanent collections and have invited a local Kineton Thai Chi group to run sessions throughout the afternoon in our ‘Capability’ Brown Landscape. We will also be celebrating our 10th anniversary year as an Art gallery and attempting to break the world record for the longest line of bunting. Visitors will be able to take part at their own leisure and make paper flags for the line of bunting. We are also encouraging participants to take part at home and send them to us. Follow our social media sites for progress on the world record attempt and activities happening on Saturday 12 April. Sign up to participate at the Compton Verney for Slow Art Day 2014 here!